The mobile app makes it easy to use STAFFOMATIC wherever you go. 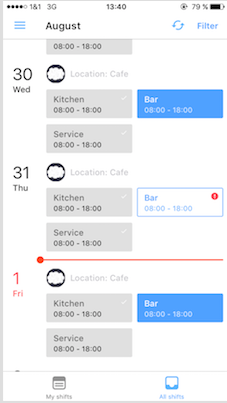 The app shows you in a clear way the difference between your individual shifts and all shifts. You can simply change the view in the bottom area. In the top bar you can refresh the page or use different filter.